A vertex set \(U \subseteq V\) of an undirected graph \(G=(V,E)\) is a resolving set for G, if for every two distinct vertices \(u,v \in V\) there is a vertex \(w \in U\) such that the distance between u and w and the distance between v and w are different. The Metric Dimension of G is the size of a smallest resolving set for G. Deciding whether a given graph G has Metric Dimension at most k for some integer k is well-known to be NP-complete. A lot of research has been done to understand the complexity of this problem on restricted graph classes. 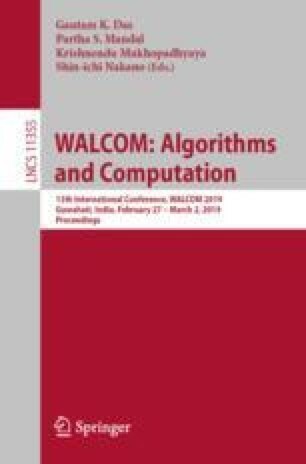 In this paper, we decompose a graph into its so called extended biconnected components and present an efficient algorithm for computing the metric dimension for a class of graphs having a minimum resolving set with a bounded number of vertices in every extended biconnected component. Furthermore, we show that the decision problem Metric Dimension remains NP-complete when the above limitation is extended to usual biconnected components.